Located a few minutes from Old Street tube, XOYO opened in September 2010 and was re-launched in 2012. On Friday nights the venue holds a programme of cutting edge live events ? 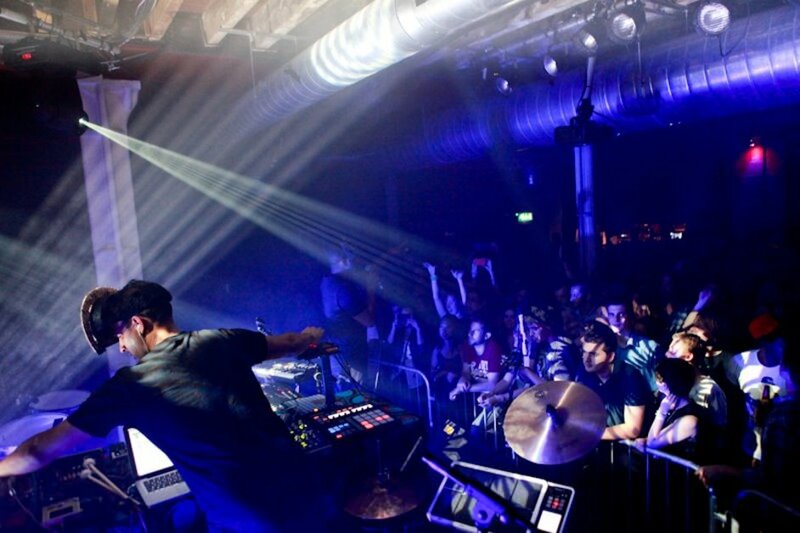 past performers include Mark Ronson, Simian Mobile Disco and Mike Skinner - while Saturdays are dedicated to parties from some of London's top club promoters, including Bugged Out!, Neon Noise Project and Upset the Rhythm. Spread across two floors, the top floor being sister bar The Shoreditch Butchery, XOYO has a capacity of 800 and aims to be an incredible platform for London's clubbers. Experimental drum'n'bass and jazz project formed by Ollie Bown and Sam Britton. Rap artist and producer from Dublin. XOYO clubs, bars, cabaret nights, casinos and interesting nightlife. What are the best dining options near XOYO London? XOYO gyms, sporting activities, health & beauty and fitness. The best pubs near London XOYO. Where to have your meeting, conference, exhibition, private dining or training course near XOYO. From cheap budget places to stay to luxury 5 star hotels see our discounts for XOYO hotels, including Ace Hotel London Shoreditch from 85% off.